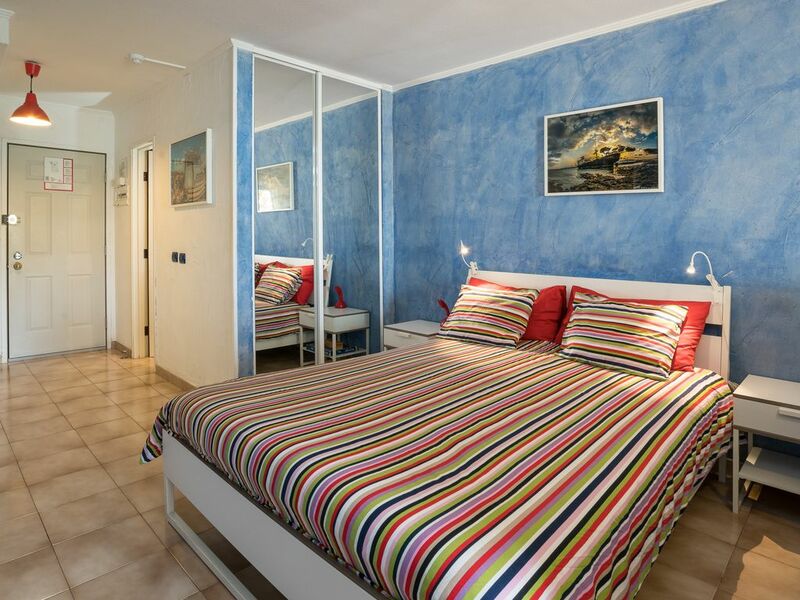 The studio has full confort and charms you ever dreamed to spent excelent holidays. Everything you need is in this self catering studio. Modern, useful, easy access to all touristic activities in general. Reception is 24h open and helpfully in case of doubt. Owner lives near, his knowledge of the island is precious to visit and know more of tenerife. Photos speak for themselves. Everything is carefully decorated. It is like "a second home"
Yes everything is nice, free wifi, english tv, heated swimming pool... Everything you need is in the studio... 5 stars would have been apreciated as everything was perfect!!!! a beautiful pool, a great pub, super mkts down the street; Love India rest was phenomenal; a brisk walk to beach but quite hilly back! we loved this place, would love to return, it has everything u need. so happy we found this little diamond in Arona! thank you, bris; loved your photos, too! Thanks a lot for your review!!! Excellent well equiped apartment, had everything we needed for our stay! The apartment was very clean and tidy, with everything we could need for our stay. We will certainly look at staying here again if we are visiting Tenerife! Perfectly situated 5 mins away from beach. Very clean with every amenity including high speed wifi, washing machine and safe. Going to definitely book here again. Have stayed before and enjoyed it even better this time. I send map and indications when you ask for informations.